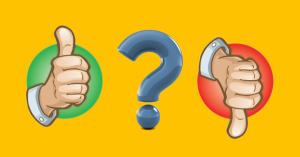 What is conditionalism? 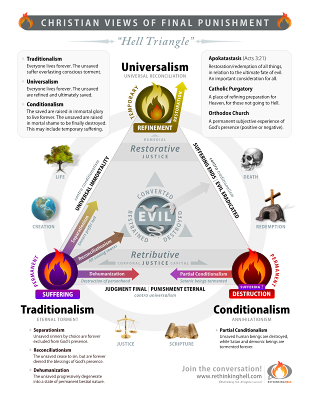 Basically, there are three views on hell, and they are all represented within evangelicalism. 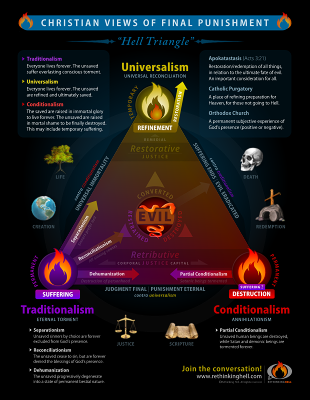 There is traditionalism, universalism and conditionalism. Setting aside for the moment that there are different varieties among these views, I will speak in general terms about each position:1Most seem to believe in a form of “separationism.” Along with this is a form of “lewisianism” in which all who are in hell, ultimately choose it, and hell’s door is locked from the inside (C.S.Lewis). Yet there are those, like N.T.Wright, who suggest a kind of “dehumanization,” that those who refuse to respond to the gospel, and only worship themselves, “that after death they become at last, by their own effective choice, beings that once were human but now are not,” but however, he admits that this is wandering into “territory that no one can claim to have mapped” (N. T. Wright, Surprised by Hope: Rethinking Heaven, the Resurrection, and the Mission of the Church [New York, NY: Harper One, 2008], 183.). To illustrate this, some point to Smeagol’s ghastly transformation into Gollum in the LOTR Trilogy. Yet, ironically, Gollum is eventually annihilated in the volcanic fires of Mount Doom. 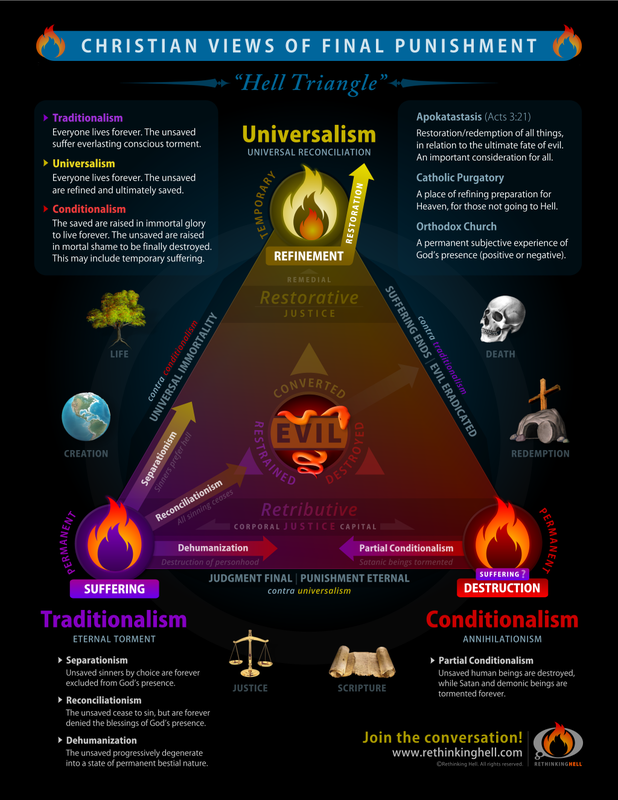 The predominant view is traditionalism which is the perspective that we are all eternal beings who will live forever either in heaven or hell.2The label “traditionalism” suggests that the alternate views are not found in church tradition, which is untrue. Within this view are two alternatives as to the nature of hell. Eternal torment is the more “traditional” view where the unbeliever is tormented in literal fire. Eternal separation is a softer and increasingly popular view where the unbeliever is eternally separated from God – in this view the fire is treated as a metaphor. In either of these, the unbeliever will never die or be freed from this state of punishment. This is the view I grew up with and came to believe for most of my life. 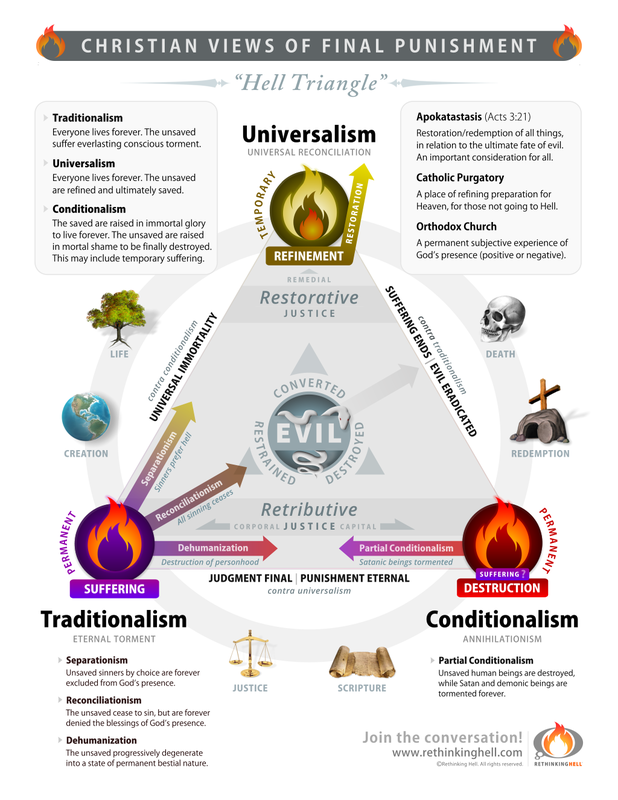 Universalism is the view of hell as a place of burning which is refining and purifying with the ultimate purpose that all will eventually come to a place of repentance and restoration with God and then enter Heaven. The length of time for this purified repentance will vary for each unbeliever, but God’s love, according to Universalists, is powerful enough to bring all to repentance and restoration. In other words, hell will eventually empty itself and cease to be. And just briefly, because it will be fleshed out more: conditionalism is the view that we are not all eternal or immortal beings, unlike God. Eternal life and immortality is “conditional” upon faith in Jesus Christ, and is given only as a good gift, not as a curse. When the condition of salvation is not met, hell is a place of complete destruction and annihilation. In this view, the unbeliever eventually perishes and ceases to be. 1. ￪ Most seem to believe in a form of “separationism.” Along with this is a form of “lewisianism” in which all who are in hell, ultimately choose it, and hell’s door is locked from the inside (C.S.Lewis). Yet there are those, like N.T.Wright, who suggest a kind of “dehumanization,” that those who refuse to respond to the gospel, and only worship themselves, “that after death they become at last, by their own effective choice, beings that once were human but now are not,” but however, he admits that this is wandering into “territory that no one can claim to have mapped” (N. T. Wright, Surprised by Hope: Rethinking Heaven, the Resurrection, and the Mission of the Church [New York, NY: Harper One, 2008], 183.). To illustrate this, some point to Smeagol’s ghastly transformation into Gollum in the LOTR Trilogy. Yet, ironically, Gollum is eventually annihilated in the volcanic fires of Mount Doom. 2. ￪ The label “traditionalism” suggests that the alternate views are not found in church tradition, which is untrue. Today in Protestant circles we still hear a lot about the immortality of the soul, despite this doctrine being passionately rejected by Martin Luther 500 years ago.1 Martin Luther, “Assertio Omnium Articulorum M. Lutheri per Bullam Leonis X. Novissimam Damnatorum,” article 27, Weimar edition of Luther’s Works, Vol. 7, pp. 131,132. 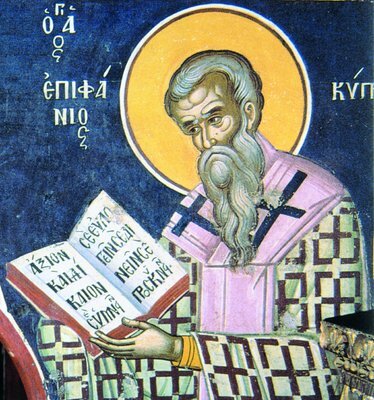 But we rarely hear of the immortality of the body, an important feature of resurrection, nor do we even hear that much about resurrection in general!2 For example, the otherwise commendable Reforming Catholic Confession fails to include the resurrection of the unsaved, and only alludes to a resurrection of the saved by mentioning “glorified bodies” (even this much requires additional understanding to link the two concepts). Will all rise physically from the dead, like Jesus did—or only the saved? And if all rise in physical bodies, will the bodies of all be fitted with immortality, never to die again—or only those of the saved? These kinds of questions are essential for assessing any doctrine of salvation and damnation, and yet they are often absent from the hell debate, and from broader discussion. Both heaven and hell are widely seen as ethereal destinations, to be arrived at immediately upon dying. But this truncated version of the biblical schedule of events renders resurrection and final judgment superfluous, even incoherent. 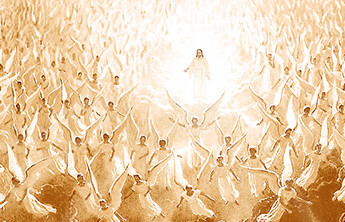 Why were the unsaved sent straight to hell before Judgment Day, the very point at which they will be sentenced to hell? And if the saved and the unsaved already reside in the place where they’ll spend eternity, why bring them out? If they are brought out in resurrection, only to be shortly sent back there but this time in a physical form, how can those realms be suited to both physical and nonphysical habitation? 1. ￪ Martin Luther, “Assertio Omnium Articulorum M. Lutheri per Bullam Leonis X. Novissimam Damnatorum,” article 27, Weimar edition of Luther’s Works, Vol. 7, pp. 131,132. 2. ￪ For example, the otherwise commendable Reforming Catholic Confession fails to include the resurrection of the unsaved, and only alludes to a resurrection of the saved by mentioning “glorified bodies” (even this much requires additional understanding to link the two concepts). The most famous verse in the Bible is broken. What the Bible says is not the problem, of course. 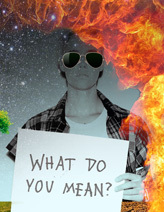 But—and here’s the scandal—the message of John 3:16 has been dramatically changed. What’s actually broken is the popular understanding of the verse. It turns out, this towering text has been widely and wildly misunderstood. For a long, long, time. That’s quite a problem! And it’s not going to just fix itself. According to a growing number of Bible scholars and teachers around the world, something must be done to set the record straight. What does Conditional Immortality affirm and deny? As a Christian doctrinal position, conditional immortality affirms that immortality—living forever and never dying—is a gift from God given only to the saved (1 Tim 6:16; Rom 2:7; 2 Tim 1:10; 1 Cor 15:54; John 6:50-51; John 11:25-26; Luke 20:36). It also tacitly rejects universal immortality, the view that all people either are or will be immortal. Since this is a tenet of both eternal torment and universal salvation, conditionalism necessarily denies those two positions.1Conditionalism therefore also rejects universal salvation’s stipulation of a universally-met condition for immortality. Conditional immortality, or conditionalism, is expressed in terms of a reward of “eternal life” for the saved, and an “eternal punishment” for the finally unsaved (Matt 25:46). The punishment is an “eternal judgment” of death instead of life, since the wages of sin is death (Heb 6:2; Rom 6:23). This requires an “eternal destruction” of “body and soul” (2 Thess 1:9 cf. Matt 10:28). Although the biblical label for that event is “the second death,” it can also be called annihilation (conditionalism and annihilationism may be used interchangeably). Whereas the concept of death indicates the forfeit of life but doesn’t specify duration, annihilation speaks of a death that is a permanent loss of life, and destruction of the whole person. Since God is the source and sustainer of life (Acts 17:25; Heb 1:3; Rev 2:7 cf. Gen 3:22), this kind of demise may be considered a consequence of eternal separation or severance from God. 1. ￪ Conditionalism therefore also rejects universal salvation’s stipulation of a universally-met condition for immortality. 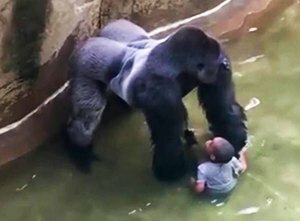 On Saturday, May 28th, 2016 a four-year-old boy climbed past some barriers and fell into the gorilla exhibit at the Cincinnati Zoo. The boy’s life was in danger. In order to save him, zookeepers shot and killed Harambe, a large, male gorilla. Rethinking Hell’s classic “Hell Triangle” chart has been revised and updated, and made available in a variety of formats, for printing and including in blogs and presentations.